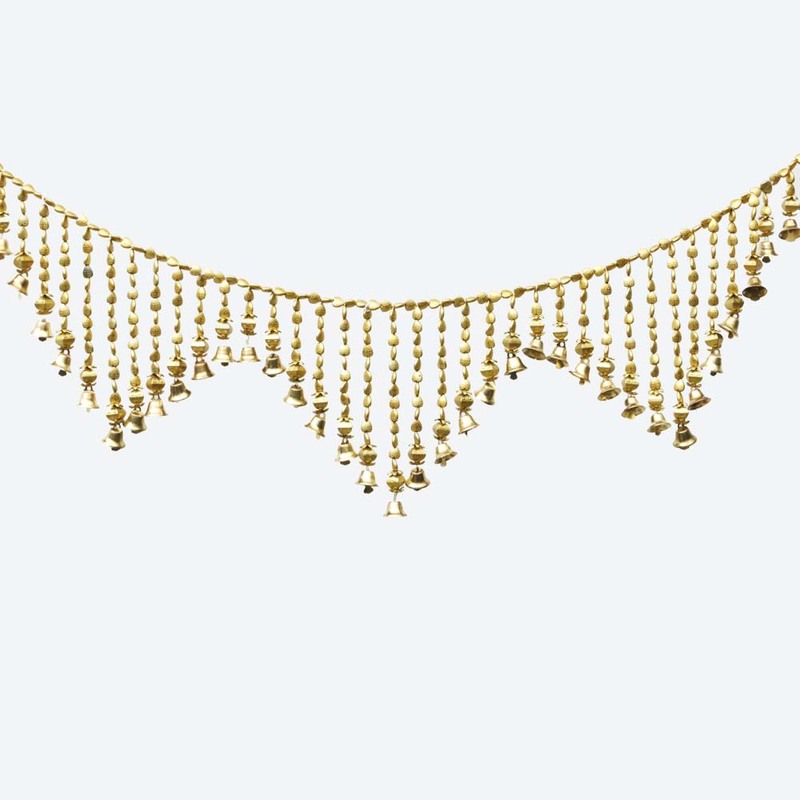 Handicraft ItemsJaipur Handicrafts OnlineA seashell bandhanwar with decorative bells. This type of bandhanwar is one of the most frequently used designs. The entire load bearing strand has seashells stitched together, with the hangings being Read More..made from seashells as well. 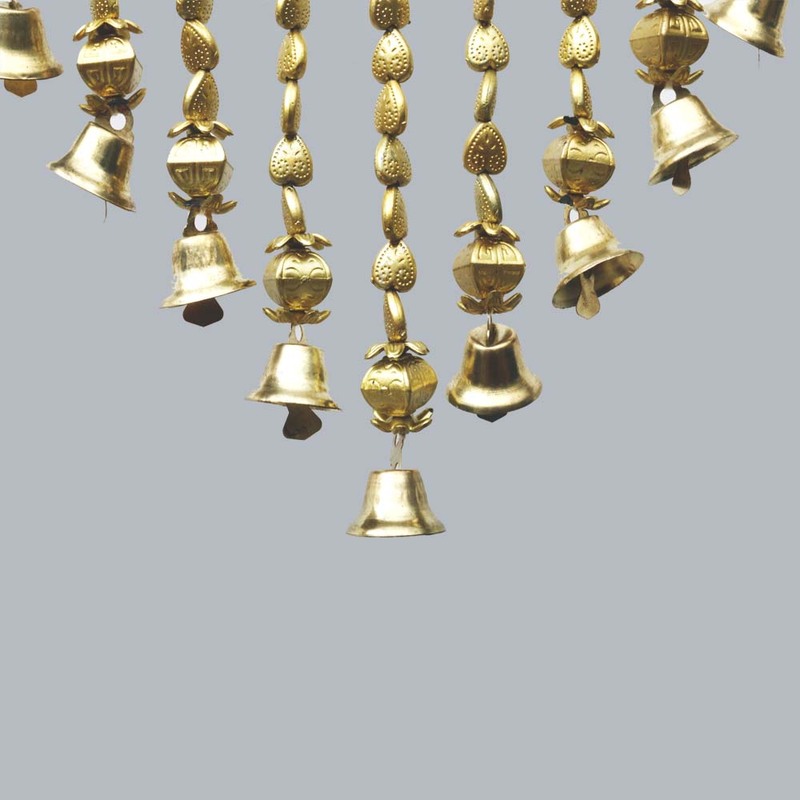 There are decorative bells at the end of each hanging strand. The unique inverted triangle design makes it even more attractive, which in turn will beautify any part of your home regardless of the surroundings they hanged in. Show Less..